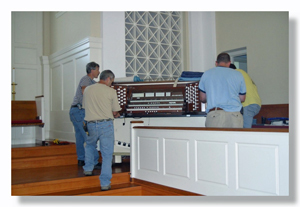 The original church organ was an Aeolian Skinner purchased in 1951 from the Seiberling family of Akron, Ohio. It was eventually replaced with a three manual Schantz manufactured in Orrville, Ohio. Through the years, it has been expanded frequently and was completely rebuilt in 2010. 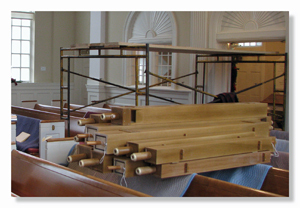 This was followed by the installation of an antiphonal organ above the balcony of the sanctuary in 2012. We now have four pipe lofts with some 2400 pipes. 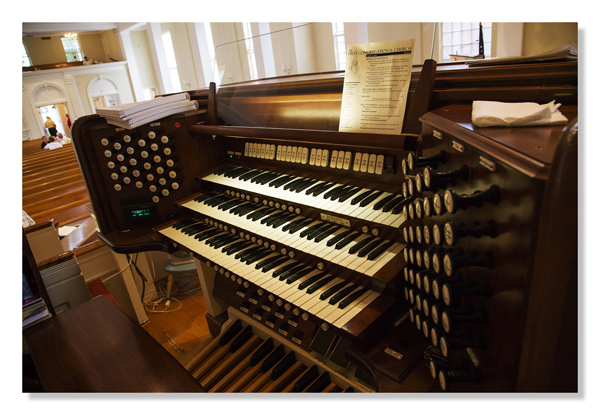 It is said to be the best Church organ between Cleveland and Columbus, Ohio. 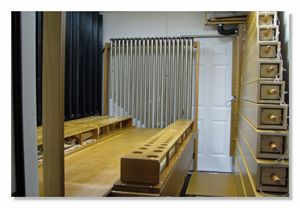 Below are some views of the organ rebuild and antiphonal pipe chamber and the pipes waiting for their new home.